Yes, we've all made one or two of these along the way; it’s just one of the symptoms of moving so often! These cautionary examples paired with your past experiences will help perfect the art of house hunting for your next destination, whether you're a potential home buyer or renter. Don't Make These House Hunting Mistakes! Don’t fall in love with a house. This sentiment is often repeated, because it’s true and it hurts the most. House love generally leads to heartache and limits options. There is a reason we all have “a house that got away” in our past. For those of us visually motivated and who can hardly think of anything else after seeing original built-ins in a charming 1920s craftsman...this DON’T is a very real challenge. Like a house just enough to be able to walk away if a surprise problem sidetracks the proceedings! No transaction is perfect, and each house will have a downside that needs to be viewed realistically. Renters and buyers make bad decisions after they become attached to a house, which also leads to desperation. Don’t let desperation invent handyman skills you don’t possess. For some, this might mean thinking you can take on a toilet replacement, and for others this means hoping to learn the skills to remodel a kitchen. You never want your handiwork to look like the “before version” of some DIY Network show where the expert has to come bail you out of dire straits. House love makes people do crazy things. Don’t make an ill-timed offer at the wrong price. Easier said than done, right? The best you can do is be prepared. Hot markets are filled with spur-of-the-moment decisions. Knowing as much as possible (neighborhood issues, actual property value) before the time to make a decision will help offset the uneasiness. Of course, stalling on an offer will cause stress as well. Not only will you be unhappy about losing the house or dealing with multiple offers, there might be money lost as added insult to injury. Don’t ignore neighborhoods outside of your preferred location. So many of us are guilty of this, especially when it comes to school zoning. Choosing a school is one of the few options the military allows us on occasion, and we like to take advantage. We want THE BEST school for our kids and ignore good schools with even better homes just a few miles away. Remember, many of us went to way worse schools than our kids, and we’re doing just fine. Crunching numbers prior to house hunting is a necessary evil for renters and buyers. A budget will help to avoid disappointment. It’s no fun to look at homes that you can't afford. Stick with the numbers your family is comfortable with and visit homes within those guidelines. 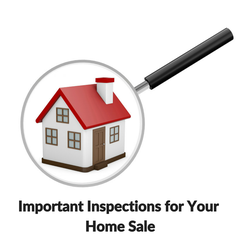 Don’t take the seller’s word, get a home inspection! This is the unofficial 11th Commandment. The money is always well spent, and inspections prevent so much disaster in the future. This goes for renters, too. They need the protection a walk-through provides. No one likes their deposit to be withheld. It seems like many of these mistakes stem from falling head over heels for a house. Keep your heart in check and the other practicalities will fall in line. MilitaryByOwner offers many resources to guide your next home search.